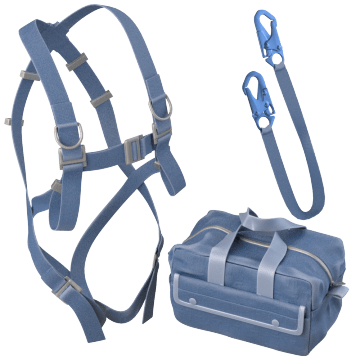 Provide workers with fall-arrest protection using these convenient kits. They include a harness and other essential equipment for stopping falls and protecting workers during descents. 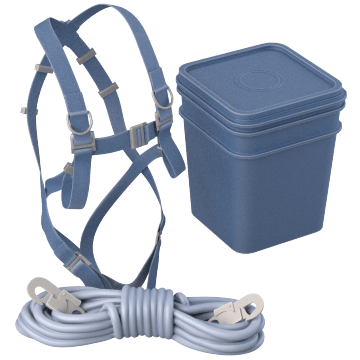 Suitable for a variety of applications, these kits include a harness, connector, and storage bag. 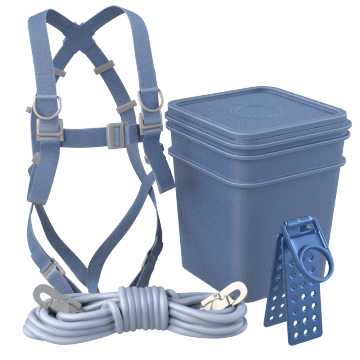 Ideal for roofers and other personnel working on roofs, these kits contain anchors for pitched roofs, a full-body harness, and connectors. 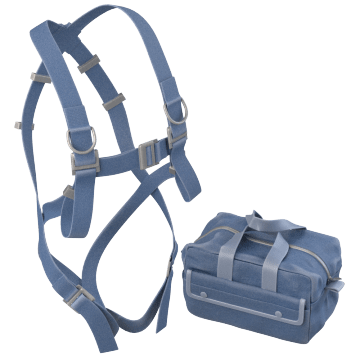 Connect the lanyards in these kits to an aerial lift such as a bucket truck or scissor lift to provide fall protection when working in the lift. The kits also include a harness and storage bag.